Question: Our coach doesn’t think we need to be training outside the lifting we do at school. I feel like I need to train more because I need to build some muscle for next season and I have a membership at a gym. How could I do more without overtraining? Answer: Over-training, while a real possibility, requires sustained high-intensity physical effort for a substantial period of time. What does occur more quickly is simply mental burnout from mundane training routines. Some believe that it’s not over-training but under-eating and under-sleeping. One way to avoid this and make substantial muscle gains is to use a training system that compliments whatever you’re doing in the weight room at school. While at school, be a leader and push yourself to higher goals and new limits with the training system provided. When you’re at your other gym, don’t repeat exercises that were performed earlier at school. Use complimentary exercises. If you do bench presses at school do dips and incline dumbbell presses outside school. Most of the sports routines at school don’t include deadlifts because of the mistaken idea that the athlete gets enough pulling doing a variety of cleans. Deads make everything stronger. 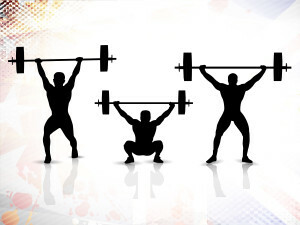 Learn how to do them properly and watch your squats and cleans skyrocket. Get out of the after school training quickly. That doesn’t mean you should rush through a workout; it means you should move with a purpose and get your work done within 30-45 minutes. Get out and get food. Our Body Armor System uses complimentary exercises to maximize the training routines provided by local training programs. It’s tough to get all the work done that you want to do or need to do with so many kids in a weightlifting class and the typical mentality of most kids in such a class. Be the leader. Strive for perfection in each rep, each set and each workout.